Once upon a time in an enchanted forest magical creatures lived together in harmony and peace. Until one day, a careless drunk fairy brought the inevitable doom upon the denizens of the forest. Fire started spreading and nothing could stop the destruction. Thousands of living beings were affected and had to adapt to their new environment. The fairies were tough though. Instead of becoming exiles, they decided to make the most of their suffering and enjoy their last minutes to the fullest. 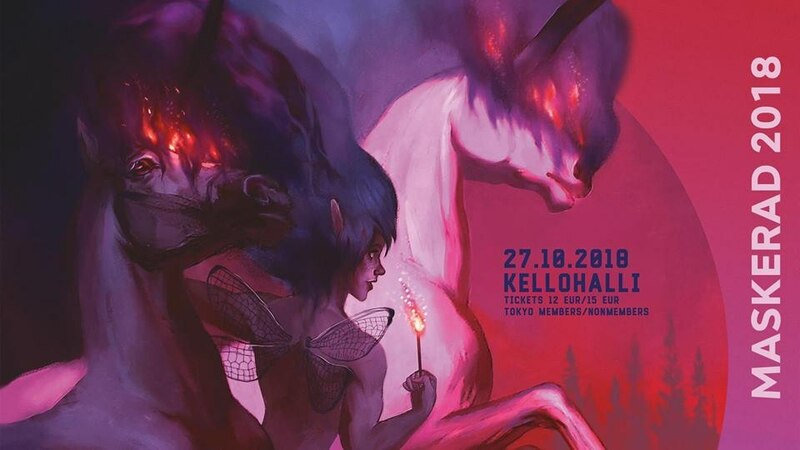 The fairyfire is eternal and so is this party, come and join the celebration! TOKYO invites everyone to celebrate our 57th annual ball on Saturday 27th of October to Kellohalli! Theme and the dresscode of the party is Fairytale Forest Fire. See Next Next post: Christmas Sales table reservation begins!